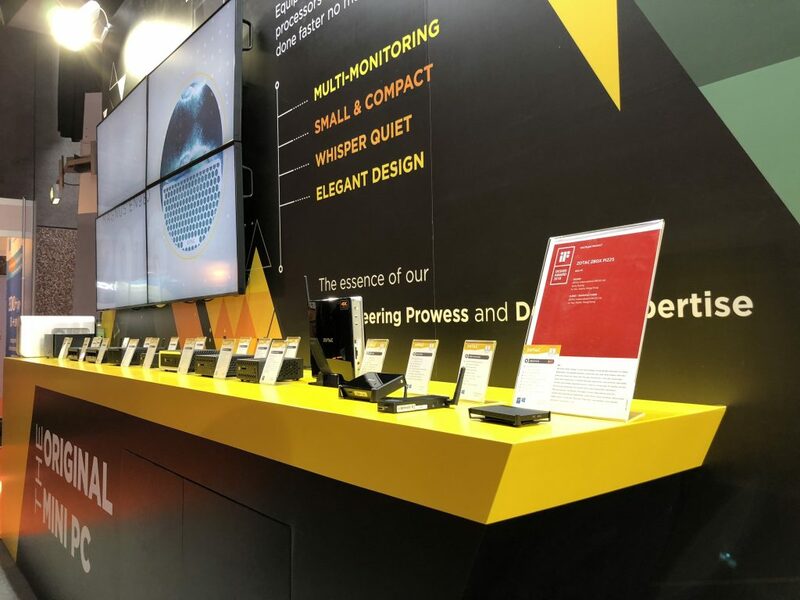 Trolling the largest AV and systems integration show in the world – the ISE 2018 at the RAI Amsterdam – is a riveting experience, especially to professionals and enthusiasts in the field. 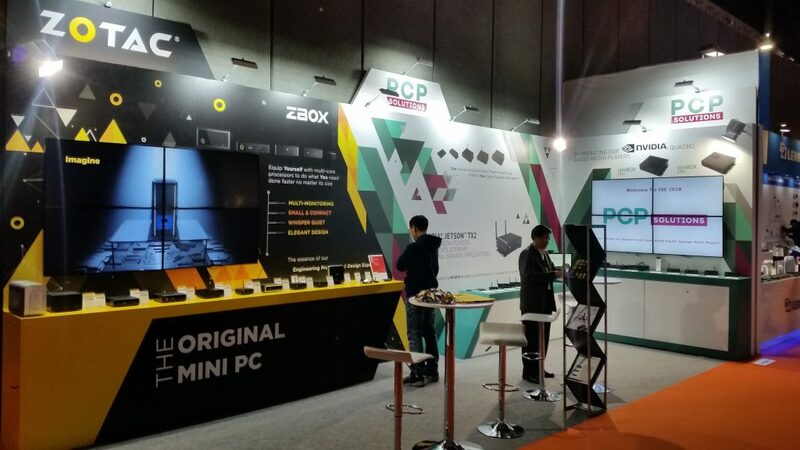 Basking in the vibrant atmosphere of the busiest scene in the show’s 15-year history, we are lucky to be partnered with PCP Solutions to showcase a full Mini PC portfolio, with excellent new releases and recent award-winning ZBOX in place. The latest additions from the passive-cooled ZBOX C-Series unveils its all-new design for the first time in Europe. Employed an Intel’s 8th Gen processor and support up to two displays in 4K, you can’t find any better silent yet compact solution for audiophiles and signage platform, period. NVIDIA Quadro housed in the smallest form factor PC is Christmas to creative and technical professionals. 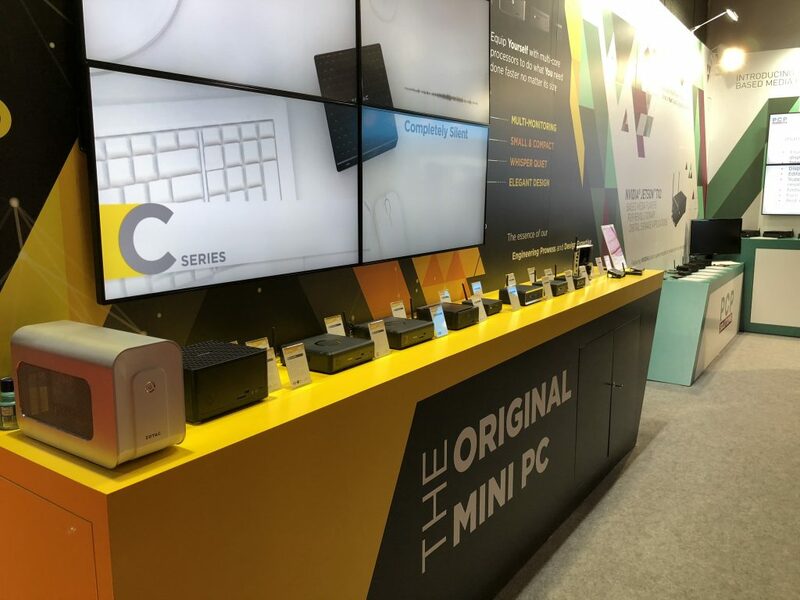 The great news is, our upcoming ZBOX Q Series Mini PCs with Quadro MXM modules are the most compact workstations in the world that still resonate big and powerful. The best part? They will be rolled out in the coming months. Stay tuned folks! 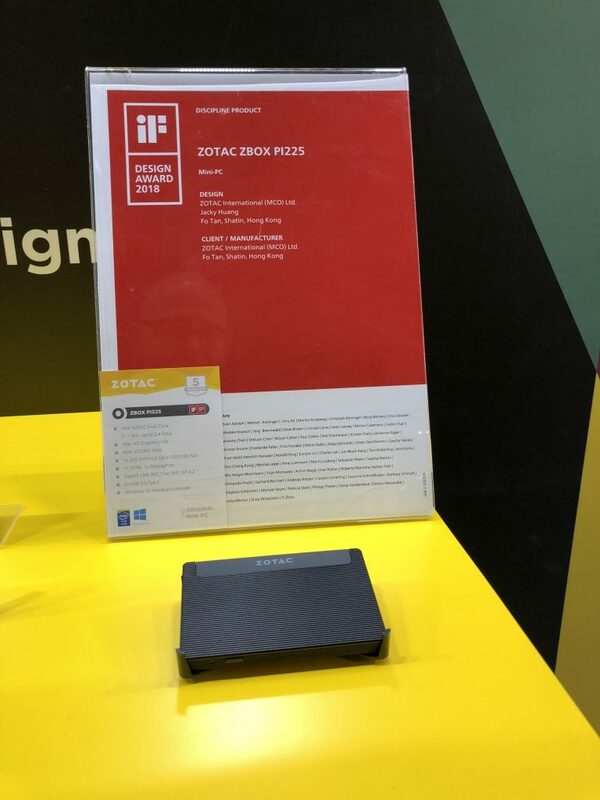 Like a proud mama or papa, we also have shown our latest award winner, ZBOX PI225, which is recognized by the iF International Forum Design GmbH with the prestigious IF Design Award 2018.